How is it possible that some of the billionaire crypto investors are able to maintain a positive outlook on the future growth of the cryptocurrency sector, despite an 85% decline in valuation across the board? What can individual traders learn from them? When individual crypto traders are presented with unexpected drops, they often suffer massive losses because they are just not able to obsorb an 80 to 90% drop in value and are forced into a position where they will have to liquidate most of their cryptocurrency holdings. Wealthy 'whale' investors and large-scale institutions, on the other hand, have the ability to keep their crypto assets even during the event of an unexpected market crash or the occurrence of a pre-longed bear market. Billionaire crypto investors like Bitcoin bull, Tim Draper, have the luxery to simply 'wait it out'. Draper recently said that we are at the cusp of something that will radically change the world and that Bitcoin is one of the greatest technologies that can change the world. Even today he stands by his prediction that Bitcoin will reach $250,000 by 2022. However, the historical performance of Bitcoin, is most likley the number one reason why billionaire investors remain bullish on the long-term growth of the cryptocurrency market. They know that Bitcoin has lived through at least five major 'crash-to-all-time-highs' cycles, where the number one cryptocurrency dropped by about 85% and recovered to a new all-time high. Even though you might feel like the current bear market is never going to end, the Bitcoin history has shown us that this is unlikely to be the case. 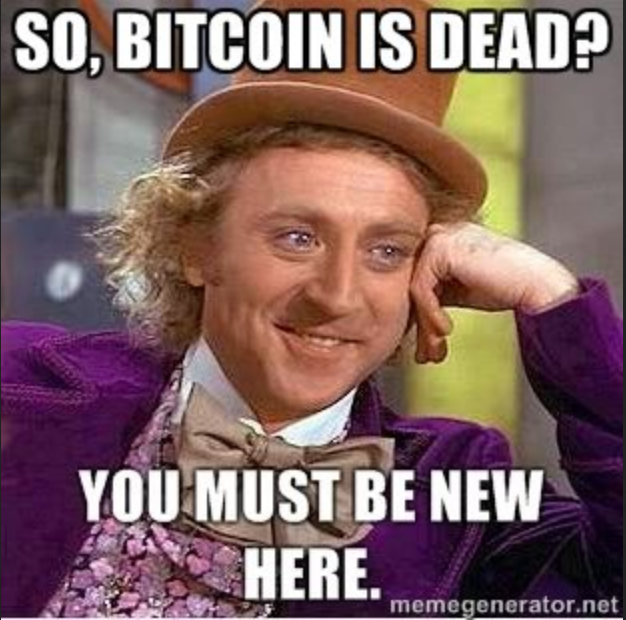 Bitcoin has been declared dead more than 300 times over the course of its nine-year lifespan, and yet it is still here. Just remember that the current bear market isn’t Bitcoin’s first, and probably won’t be its last, and that is exactly why billionaire investors remain bullish on Bitcoin. Are you still bullish on Bitcoin? Let us know in the poll below. Are you still bullish on Bitcoin?